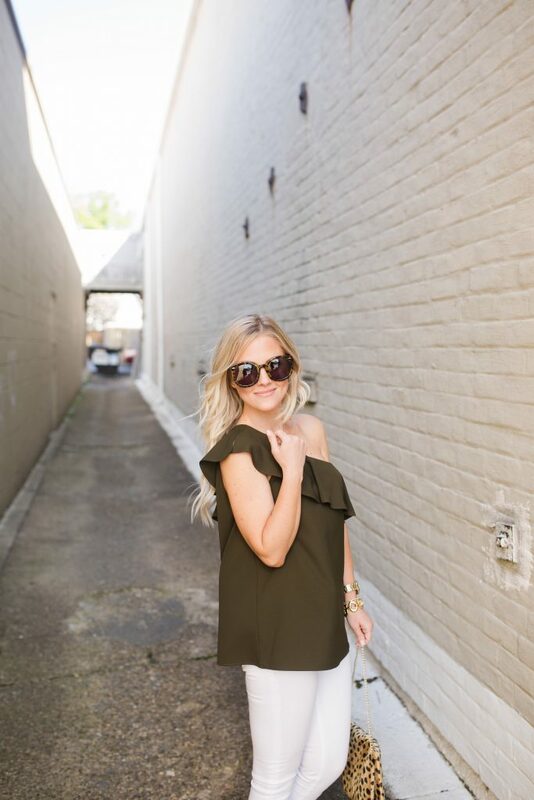 This top comes in four different colors as well as petite sizes (I recommend sizing down, most likely to petite in your regular size). I was drawn to the olive and knew it would be a perfect compliment to my cheetah print bag. 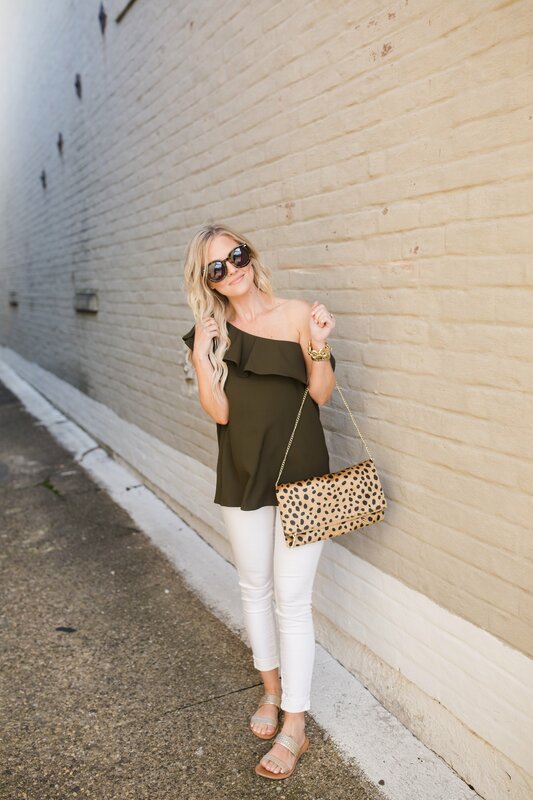 If you don’t own an animal print clutch I would suggest finding one to have around – although it’s not an everyday purse they are great for occasions when you want to add something fun to your outfit but still look classy. I like to stick with the neutral color prints and high quality fabric (fyi good quality doesn’t always mean expensive!). You can find printed clutches in all price points. I’ve linked a few different ones that I like at various prices. Think of it like a little black dress, you just need one and it will work for anything! Dressed up or down, I promise you will use it more than you think you will. Also the jeans I’m wearing (find them HERE) are more of a legging material with a LOT of stretch, which means they are extra comfy! These have been my favorite white “jeans” for a few years now and they’ve held up so well. But again, I’ve linked multiple options at different price points for you below – and I have each of those too and I highly recommend! I hope you’ve all had a wonderful week! And if you need me, I’ll be on a patio somewhere swaying to some tunes.